This weekend, the Convention Center will host a number of events. Visitors are encouraged to arrive early and pay close attention to directional signs for the best access to parking. Over 35,000 people will be attending various events beginning Thursday, November 15 through Sunday, November 18. The Convention Center is taking special measures to expedite patron’s access to parking and entrance into the event spaces. Among the events are the International Jewelry and Merchandise Show featuring over 500 booths showcasing everything from fine jewelry to apparel to gifts and accessories. The Show opens daily at 10:00 a.m. from Thursday through Sunday. Convention Center Boulevard remains under construction and is reduced to one lane in each direction. The construction is part of a $557 million improvement plan that includes converting Convention Center Boulevard into a lushly landscaped public park to be complete in the fall of 2020. 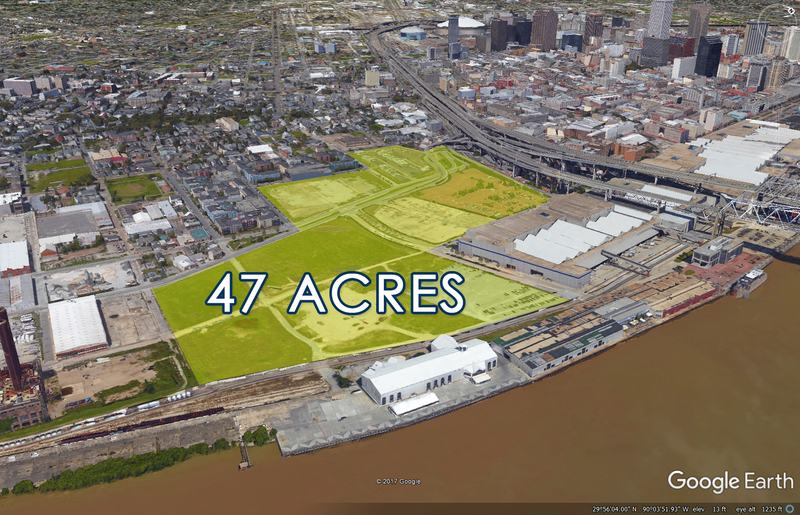 47 acres owned by the Authority.